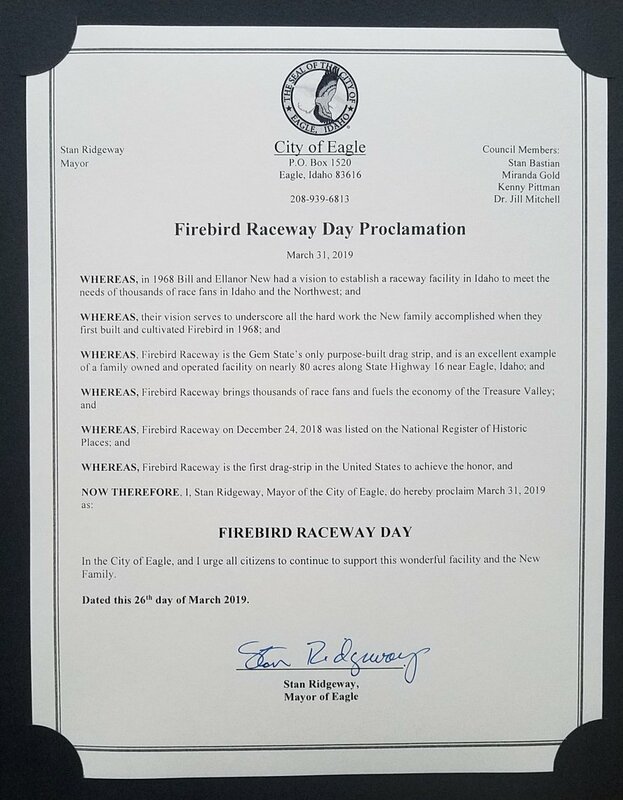 Special thanks to the City of Eagle, Idaho and Mayor Stan Ridgeway for delivering a proclamation that March 31, 2019, will be observed as Firebird Raceway Day. Announced during the City Council meeting at City Hall on March 26th, the Mayor and City Council members wanted to recognize the track’s recent nomination to the National Registry of Historic Places. Thanks to the city for the honor on behalf of the New family and racing community. Thanks to Gary Himes for providing the group photo from Eagle City Hall.